Relax and enjoy a session of spa and a massage in Caldes de Monbui. You can feel the advantages of the thermal water in a treatment existing from a thermal swimming pool and a thermal cervical shower, round wire-shaped shower and a massage of 55 minutes. Do you urgently need relaxation and a massage? Then this is the experience you are looking for! 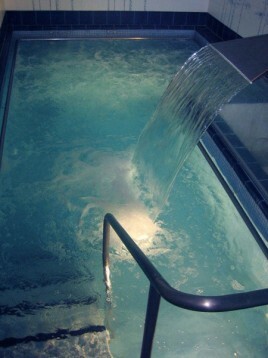 Thermal water is one of the most used natural medicinal sources since the antiquity thanks to the therapeutic properties. Nowadays the need has arisen to care for our body to survive the daily stress, that is why thermal water has become one of our best allies. 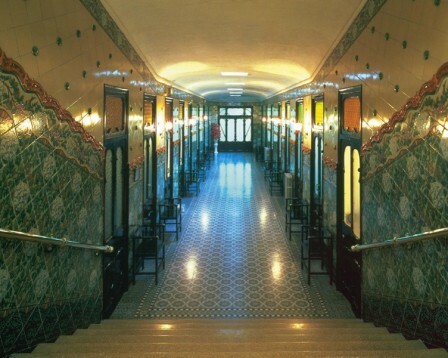 Golden Moments offers you a spa with nearly three centuries of tradition, located in Caldes de Monbui (Barcelona). You can feel the comfort and tranquility, while enjoying the mix of history of their environment and the most advanced treatments, always under the control of a medical team. Thermal pool with cervical shower: water jets arranged in a fan shape, which produces a relaxing massage of the muscles in the area of the shoulders and neck. Round wire shower: Cremotherapy technique where hot water is used in the form of small caliber jets of rings that are placed at height, from the cervical area to the feet. A massage of 55 minutes. In case of illness, disorders, cardiovascular problems or suspicions that you are suffering from it, you must communicate this before arrival and make the corresponding medical visit before you can enjoy the Spa day experience. Your reservation can not be cancelled as soon as this has been agreed. You can change the date if you notify the spa in advance. The spa offers you a medical service that will advise you on the use of our spa facilities and therapies. The spa in Barcelona is not dependent on the weather. The treatment takes 2 hours and a half. This ticket is valid for one person. The thermal circuit can be shared with others, but the massage will be individual. Bring your swimwear, shoes and personal hygiene products (shampoo, bath soap,etc.) The bathrobe is provided by the spa. The spa in Barcelona is available from Monday - Sunday from 9:00 am - 1:30 pm and from 4:00 pm - 6:00 pm. Mi pareja y yo fuimos a este balneario de Caldes (el regalo fui idea suya...), y no pudimos quedar mas contentos, lo recomendaria a todo el mundo sin duda. Mi mujer me obsequio con este estupendo este dia en el Spa de Caldes, y fue todo un lujazo, que relax y que tranquilidad. para relajarse con la pareja no hay mejor cosa q un circuito de estos de spa, q maravilla oye! llevabamos tiempo con ganas de pasar un dia en un spa de estos, y nos decidimos por este en Caldes de Montbui. Fue todo genial, las instalaciones, la limpieza del centro, perfecto. Aromatherapy, thermal treatment, Vichy showers or Fangotherapy treatment are practices that have been used since the beginning of civilization. The aromatherapy treatment was devised in 1928 by Rene Mauricehas Gattefosse. The science of the use of oils and essential extracts of aromatic plants is studied to improve beauty and health, while producing different emotions and passing sensations to the mind. In general it is about looking for the Force of Life, to search for the essences in the elements that make up life. Massage is the most effective way to achieve the effects we propose. The therapeutic effects and various benefits have been proven in problems such as insomnia or in different depressions. These treatments also produce effects on the skin and in the treatment of eczema and acne. It is not an attempt to replace traditional medicine, but to help nature find your balance and heal your body, mind and soul. Your reservation can not be canceled as soon as this has been agreed. You can change the date if you notify the spa in advance. Heeft u hulp nodig met dit cadeau, Spa Barcelona?